Over the weekend of 2nd-3rd May Canoefest 2015 has a base on Lynn Brenig – a great place to harness the wind! Advice and guidance will be available all weekend for those on the Core Programme – and Sunday afternoon we’ve got an intensive workshop – available on the booking form. 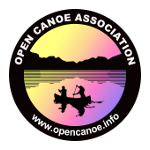 Queries to bookings@canoefest.info – and ASAP if you have specific interests!